Mr. Teeples started training here in the evening martial art program at our academy when he was 8 years old! He has trained continuously since that time, and is now the Lead Instructor in our evening program! He also heads up the martial art classes in our after school program. 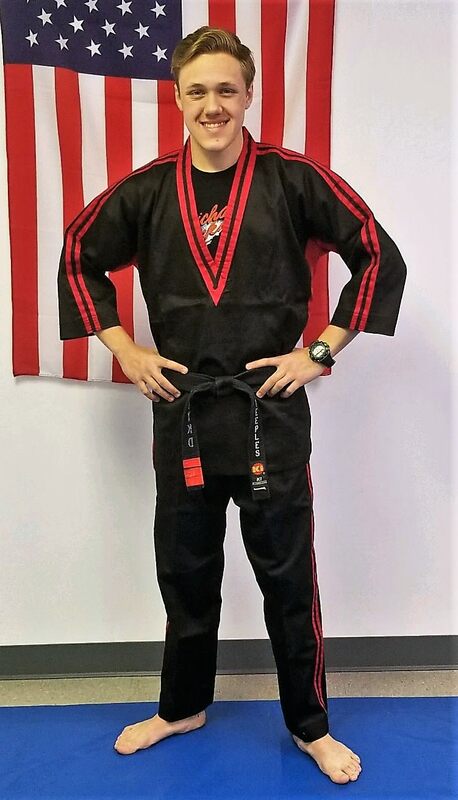 All kids ages 7 & up, and all adults, will have Mr. Teeples as their first instructor, since he teaches our beginner / white belt classes! You'll be treated to an instructor who has an absolute passion for martial arts, and for teaching!